With the mention of BBQ and Rally cars, it wasn't long before I was headed up the 405 on my way to LA. The guys at Hoonigan and Fifteen52 recently moved into a new shop space to house the builds and contain a bit of their automotive tomfoolery. Recently dubbed 'The Donut Shop', the warehouse sits amidst the asphalt grid of Los Angeles's industrial landscape and its concrete yard already shines with layers of tire residue. The graffiti that adorns the surrounding walls plays to the iconic atmosphere of LA streets and it reflects with the fun and creative nature of these two companies. With these two companies now working in the same quarters, it's certain that some impressive project cars will add to the layers of rubber and park inside the gates of The Donut Shop. Fifteen52's Project ST trio was on display this evening, showcasing the three project cars that they've been working on in conjunction with Ken Block and Ford Racing. 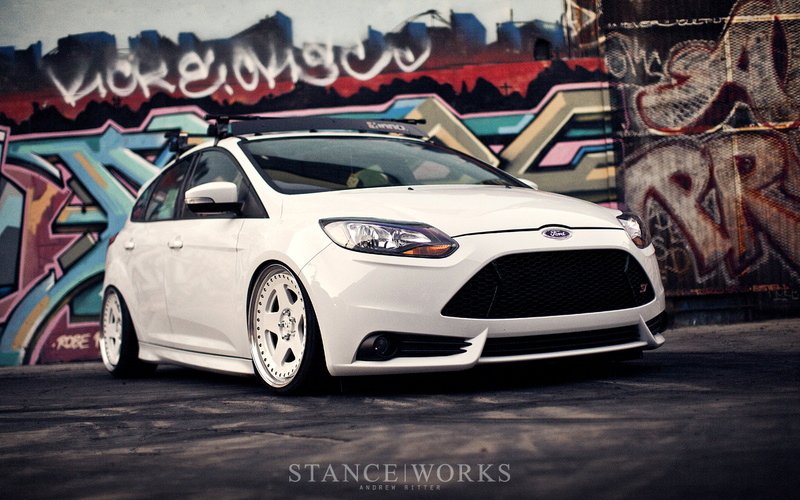 Aimed at approaching the same chassis from 3 different build perspectives, Fifteen52 has been hard at work showing what can be done with the new Ford Focus ST. Proving to be a versatile platform, the ST canvases have progressed since we last saw them; growing into their own styles. 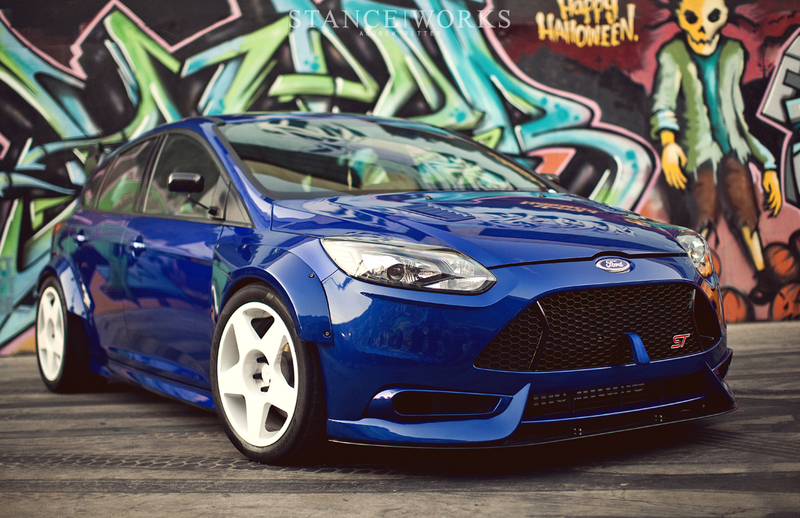 The TrackSTer Focus ST, the performance beast of the group, has been tearing up the streets with its Mountune powerhouse. It has remained rather unchanged since we featured the car (Article: HERE), but this car was built to be driven and they've been putting it through its paces. 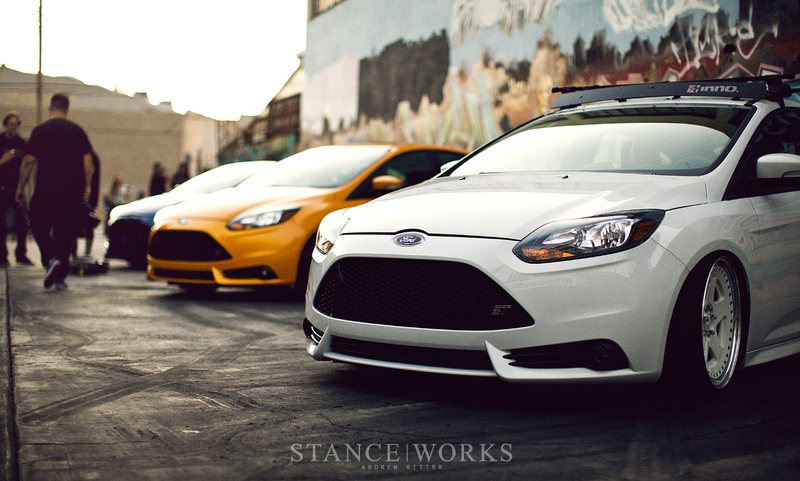 It's hard to miss the beautiful yellow paint that glows on the Project ST Block STyle Focus. This car is the mild one of the bunch. 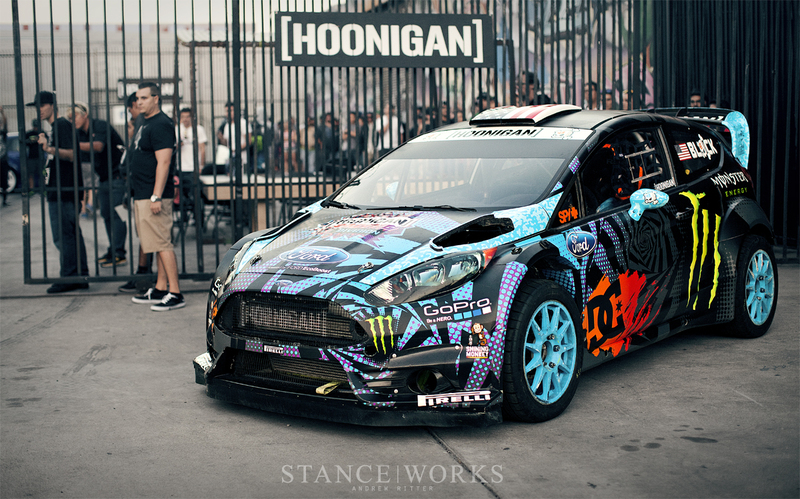 Aimed at an OEM+ style, the Block STyle car is being built as Ken Block's daily driver. When he's not sliding around cones, blasting through barriers, and shredding tires off of the Hoonigan Racing vehicles, he wants to step into a reliable and sporty car for his day to day drives. Matt and Brad, from Fifteen52, led me around the cars pointing out the newest features that they had worked on. 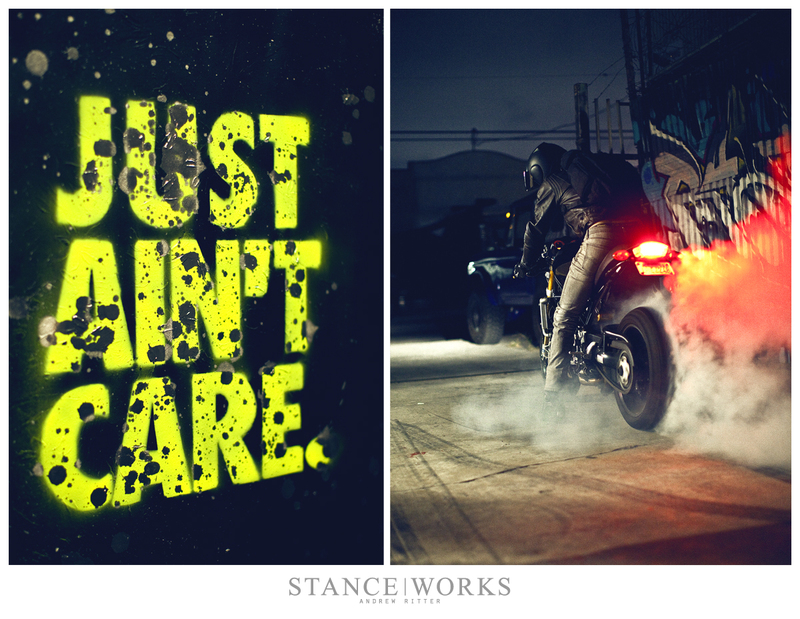 The Block STyle car recently received a new finish on its forged Tarmac F40s. Previously a machined finish, they now played off the trim pieces with a new matte black finish and lent a new aggressive look to the car. In the interior, where comfort and style remain a priority, Katzkin seat covers brought the yellow from its exterior panels to the inside cockpit. 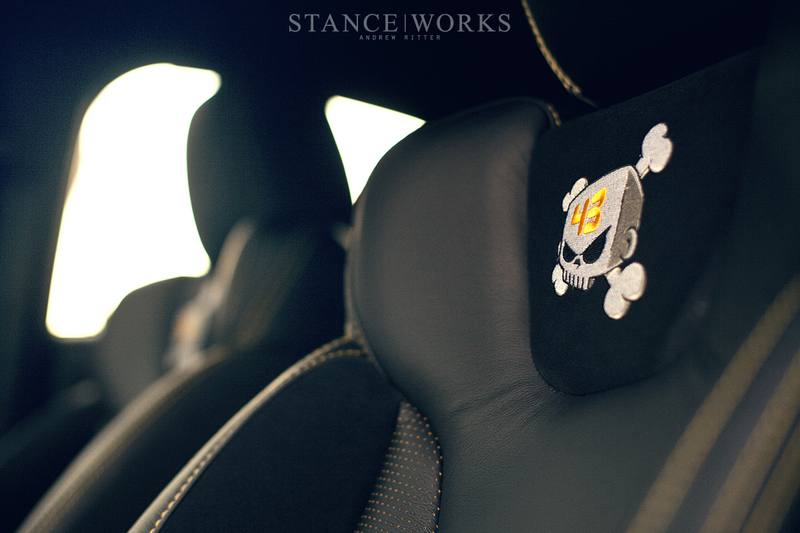 With yellow stitching, perforations, and embroided Ken Block skulls, the seats add a dash of style to the Project ST Block STyle. 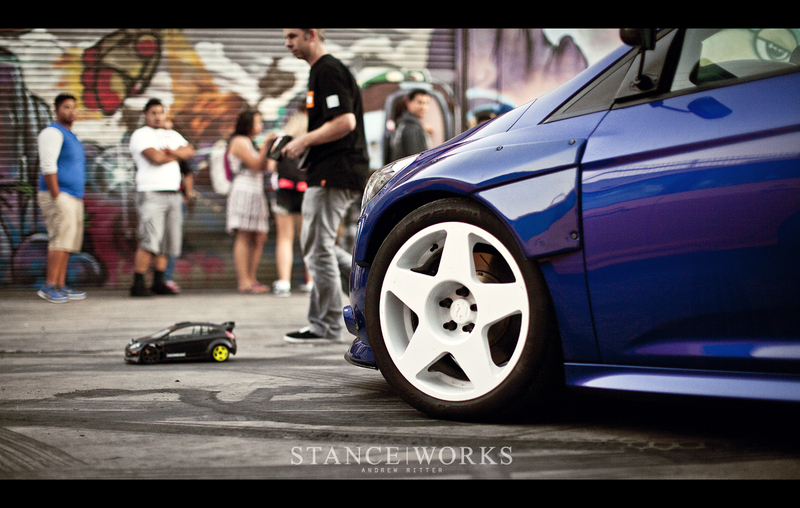 Fifteen52's Project STanced Focus has been rolling around much closer to the tarmac thanks to a new airride setup. Project STanced is the road-scraping counterpart to the other two, and it's the build where style reigns paramount. Just below the arches sit the polished lips of 3-piece Fifteen 52 Tarmac TRs. With gloss white centers, the car's monotone exterior lends a simple euro-influenced style to the car. 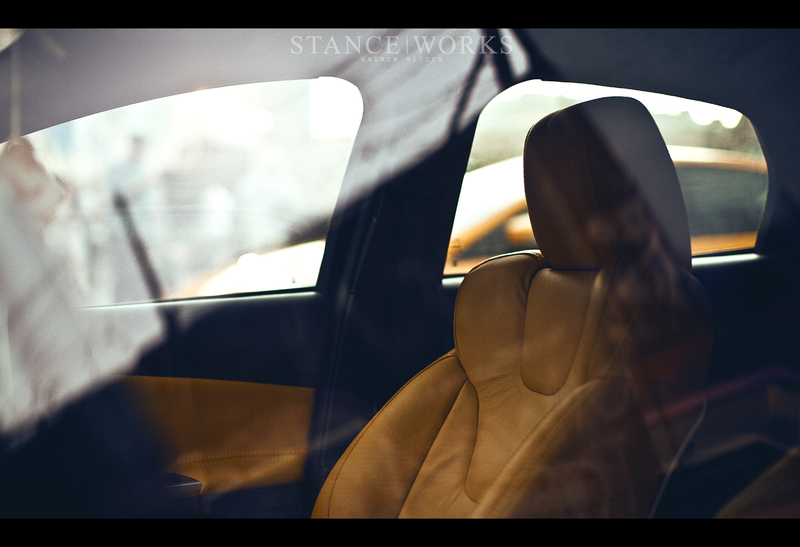 Buttery yellow leather seats take the euro styling one step further to the realm of flashy showcars from across the pond where styling is a bit more extreme and eye-catching. 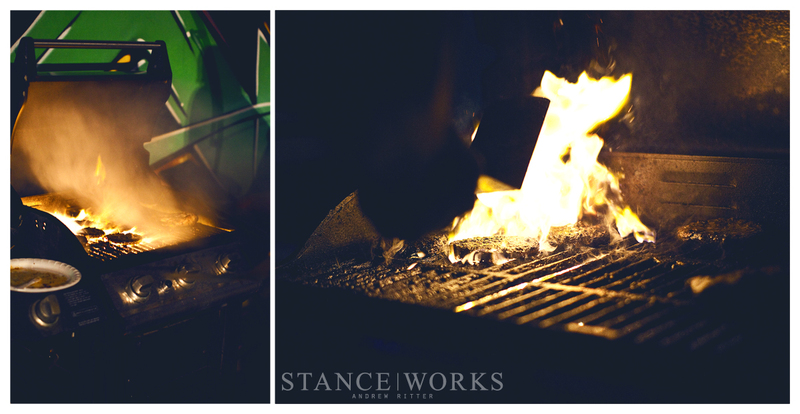 We're excited to watch as this build progresses and I look forward to the feature photoshoot that awaits. 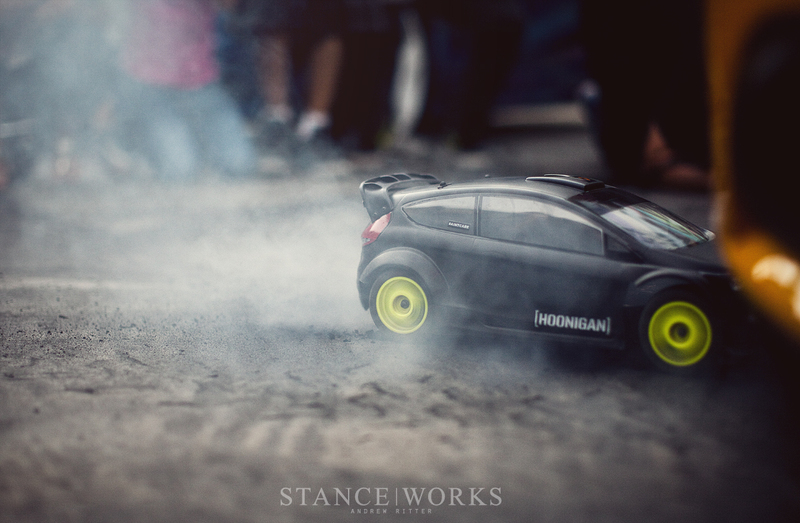 Some of the guys from HPI Racing came out for a bit of hooning on a smaller scale. Electric motors buzzed as the little Radio Controlled Ford rally car and trophy truck spit up pebbles and launched off the ramp. It's hard not to smile when tearing it up with your very own miniature race car. 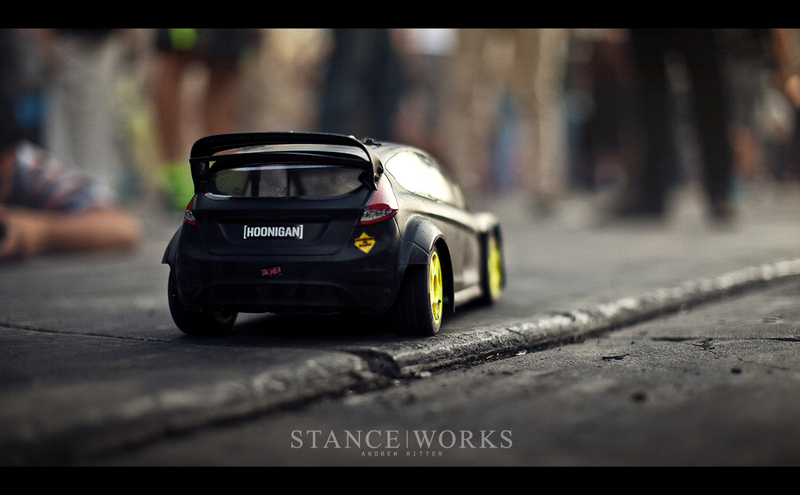 Situated over 1:8 scale plastic Fifteen52 Tarmac wheels, the HPI WRC Fiesta drifted around the Focus STs. It seemed fitting that it situated itself against a set of 1:1 scale alloy Tarmac wheels to lend a little rubber to the Hoonigan collection with its own RC AWD burnout. 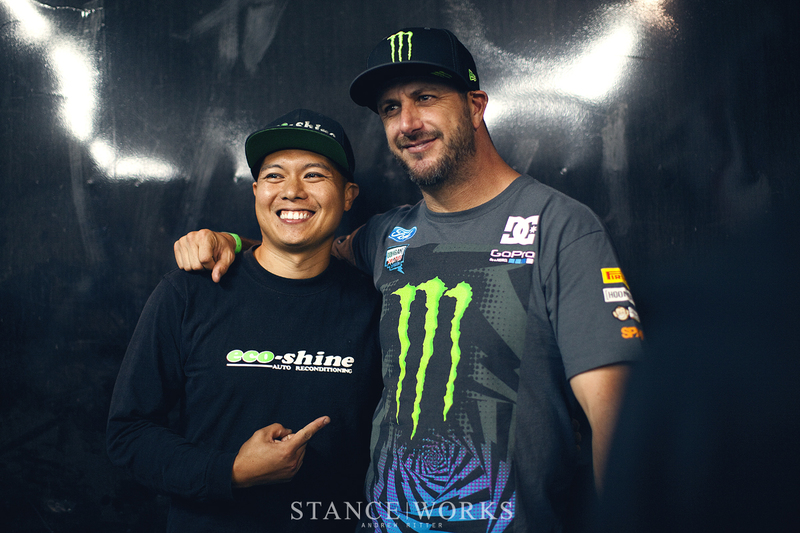 Fifteen52 and Hoonigan organized the get together to officially announce the release of Ken Block's newest Hoonigan Racing Division T-shirt, featuring the same dot matrices and iconic Monster Energy 'M' that graced the livery of his Ford Fiest Rx43 that was parked outside on the sidewalk. The race car greeted fans and passersby as they were welcomed into The Donut Shop to join the Hoonigan Racing Division family for an evening of festivities celebrating the recent founding of the new race team. Fans eagerly waited their turn to step into the shop for autographs and a chance to get their hands on the newly released 2013 Team shirts. If one thing is for certain, it's the fun and laid back atmosphere that you'll find when you spend time with the Hoonigans and the gentlemen at Fifteen52. 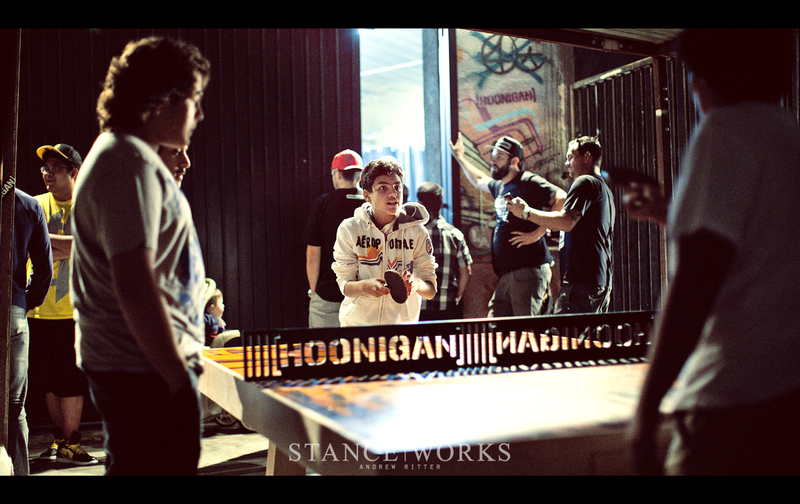 Smiles are shared as jokes are told and ping pong balls bounce off the brightly painted Hoonigan table. The smell of burgers and ribs signaled the end of another enjoyable summer evening on the streets of LA as fans joined the ranks of the Hoonigan team. We talked about dream car build plans, the X-Games Gymkhana that lay ahead, and began planning future get-togethers already eager to do this all over again. 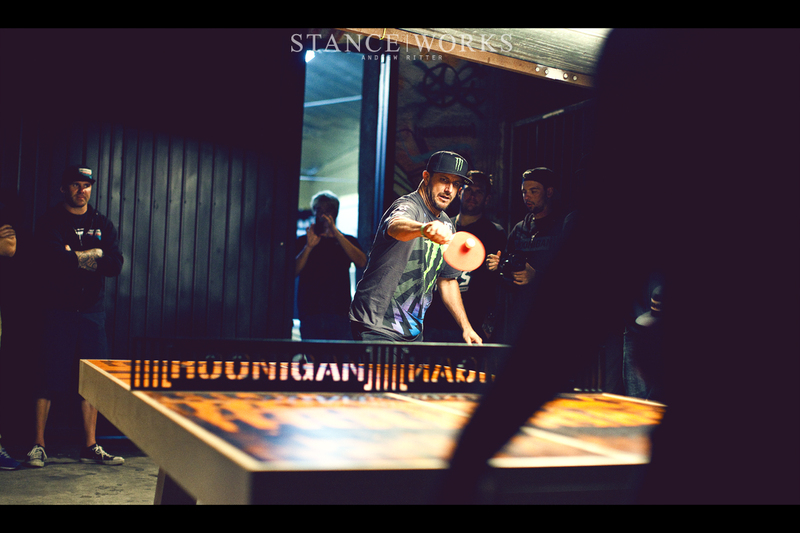 Under the smoke of a Ducati burnout, Ken Block joined in on the ping pong challenged that had ensued. It was a great way to end another day in California and now that Fifteen52 and Hoonigan are working together in the same quarters, we're excited for the inevitable good times that lie ahead of us.